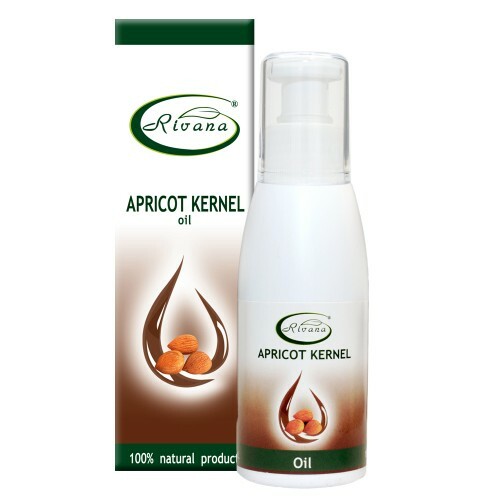 The vegetable oil from apricot kernels is obtained by cold pressing of nuts, after which it is refined. Apricot oil contains naturally high levels of vitamin F, which moisturizes and stimulates the skin. It is suitable for dry and aging skin, it nourishes, hydrates, refreshes and softens the skin, accelerates cell metabolism and contributes to the formation of skin collagen, as it slows skin’s aging. Apricot kernel oil nourishes and strengthens the hair. It prevents hair loss and brittle hair, improves its elasticity and appearance. It is deeply absorbed by the skin and gives velvety softness and smoothness. Massage: face, neck,neckline, and other parts of the body: put some apricot kernel oil on your fingers and massage with smooth moves on clean and dry skin. Hair roots massage – Apply the apricot oil to clean hair and rub the oil in the roots or the hair itself , if it’s damaged. Leave the oil for at least 20-30 minutes. While you wait, you can cover your hair with a towel, and after that wash off with shampoo. Contraindicated for people with individual intolerance to apricot kernel oil.